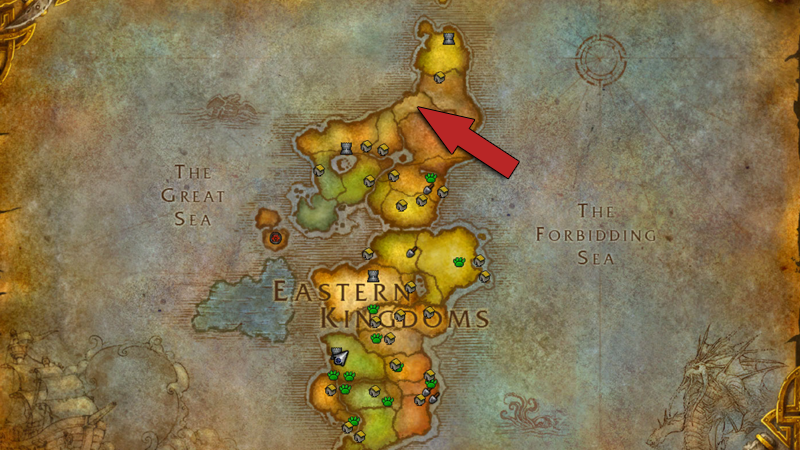 Around the northern shores of the Eastern Kingdoms lies a zone we can see on Azeroth’s map, but compared to all the other zones, it’s unmarked, not part of the game and accessible only through tricky ways. This tiny area’s purpose is unknown, but it has been speculated over the years that it was supposed to be the lush forest region of Quel’thalas, a vanilla zone that later made it into the game as the starting zone for the Blood Elves in The Burning Crusade expansion. And since the original idea of Quel’thalas, or whatever the purpose of this zone was, got abandoned, an unfinished chunk of land remained there that players couldn’t reach. But obviously that won’t stop everyone, and HeelvsBabyface’s video proves that even without private servers or anything dodgy, anyone can go there after a series of tricky moves. The way to reach this area is through Eastern Plaguelands’ Stratholme dungeon, but I don’t want to spoil the method. The video teases everything perfectly. And the zone’s just like how one can imagine an unfinished WoW zone: It’s full of invisible walls, placeholders and missing textures. But fishing works!